This was my first time going to Bandera, TX, aka, the “Cowboy Capital of the World.” I’ve wanted to run the 100k here for a long time. Race weekend was book-ended with high temps firmly in the 70’s, but over the weekend the temps plummeted. It was gonna be a cold one! This warm-blooded California cowboy purposefully trained in a few chilly dawn mornings at home but not with temps quite as low as we’d see on race day. On Friday’s shake-out run from my hotel, I quickly made the decision to run in tights—with shorts underneath—and dialed in my layers up top so I could shed as it slowly “warmed up” to the predicted high of 42. If you’re comfortable, you’re happy, and if you’re happy, you’re going to be moving well out there. There was an REI nearby and I picked up some some other stuff to help keep me happy during the first loop, hoping to further encourage energy conservation for later. Heading out on the loop #1 there was a good group of us that stayed together for a long while. Mario Mendoza set the pace and we were all happy to be cookin’ along and keeping warm. It’s always magical to be running on trails you’ve never run on before, especially after a long December build for an early Jan event. It was tough taking in the scenery though since the course is crazy technical with rocks galore. You’re doing your best to remain upright. I was having fun dancing over those rocks and trying my damndest to not hotdog it too much. There was some hootin’ and hollarin’ though. I mean, it’s Texas after all. As I’m running down a section of trail I see three spectators up ahead at a clearing. I clip a toe and start to go down. My hand-helds cushion the fall and I find myself doing a somersault that puts me right back up on my feet. Whoa, easy does it cowboy, I think to myself. I get composed and press on, keeping that HR right where I know it needs to be. I’m grateful at that moment my bottles didn’t explode, ’cause they have all my calories in them. Soon enough a marathon of miles has passed by and I know it’s gonna be a great day because the skies are clear, the sun’s warm, and the running’s easy. And the time’s flyin’ by too. And before I know it, I’m about two miles out from the half-way point, back at the Start/Finish. I’m deliberating—hard—about exactly what pieces of clothing to shed. I decide I’ll ditch my nylon shell and my gloves. I’ll keep on my long-sleeve pull-over. Later, I may ditch the pull-over and go down to just my short-sleeve jersey. I’m eager, not only to discard the clothing, but also to get in-n-out of the half-way as quickly as possible since I’ll have the opportunity to see who’s behind me, how they look, and how much separation there is between them and myself. It’s a pivotal moment in the race. A turning point. The moment where I go from pace-mode to race-mode. Who better to have crewing for me this day than Meredith Terranova, recent UltraMan competitor and long-time endurance sports veteran. Her husband Paul, a former winner and perennial beloved favorite here at Bandera 100k, was racing the 50k today and she was crushing crewing duties. Cruising back out, the empty bottles and gloves hit the ground. The jacket comes off. Meredith hands me two fresh bottles of VitargoS2. Knowing the chase group is coming, I bolt back up the same way I came in to go out on lap #2. It’s ON!! Soon thereafter, I get back to the point where I saw Mario and runners are pouring out onto the dirt road. “Settle down” I’m telling myself. Quiet Mind. Execute. With the changes from last year’s race, I knew the course was a little longer. I was hoping to hit to do the lap #1 in about four hours. When I hit the View button on my Suunto to switch over to race-pace for the first time I was happy to see exactly 8:00/mi average. My average heart-rate for lap #1 was 140bpm. Now the game I would play with myself over lap #2 would be fighting to hold as close to this average pace as possible. I was excited to get to the “Nachos” aid-station at mile 42, with 20mi to go to the finish, because that would represent about one-third of the race remaining. I firmly believe that in racing ultras, “You must save half your energy for the final third of the race. I felt I’d saved enough to make a valiant push to the finish. Something felt off though and dread started to slowly creep in after Mario and I had passed one another. I was still seeing course-markings. And that volunteer did say, “100k runners this way!” I know I didn’t miss a turn. There wasn’t any other trail to take. Right? “Expect nothing and be prepared for anything.” I came prepared but the devil? Yeah, he’s in the details. So who’s to blame? The URP Daily News thread offers a lot of thoughtful dialogue about this all-too-common occurrence in trail-running—athletes getting off-course—for one reason or another. Full disclosure though: this isn’t my first rodeo. I’ve been bucked off the bull and have found myself off-course more times than I can count. It just comes with the territory. I do buckle down and study course maps for every race I do. 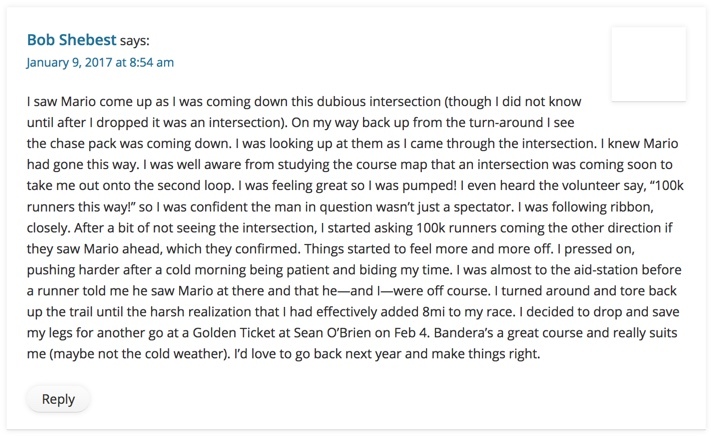 For Bandera, I’d printed out the provided race-doc from the website months ago and started studying the course. I drew by hand, over and over again, for example, the Crossroads aid-station because the website stated that some runners “will” get off course here since there was four ways out of this aid-station and you must be paying attention. I was dialed and said to myself, “Relax, it’s Bandera. They’ve been doing this event for years. It’s a Golden Ticket event and it’s the USATF 100k National Championship. They’re going to take good care of you. Then, I pressed the “I believe” button in my head and just hoped for the best. 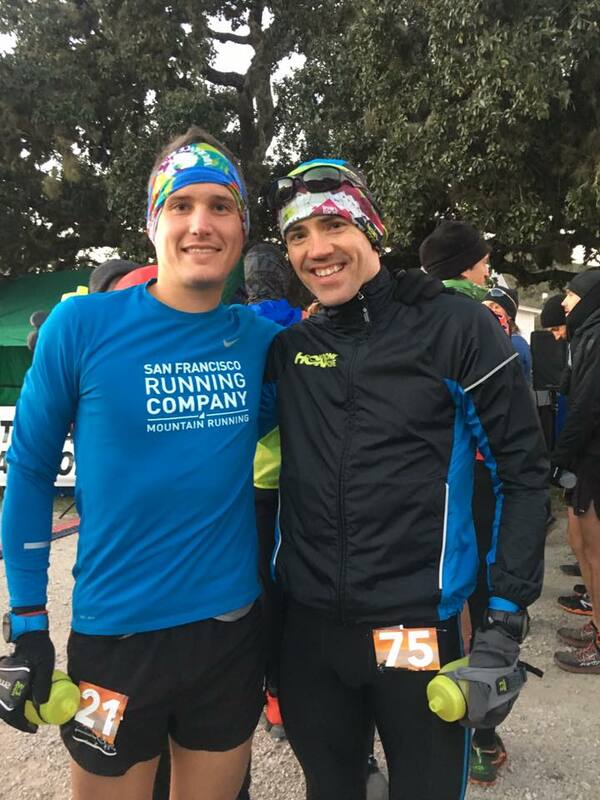 Naturally, in the days leading up to Bandera I discovered there’d been some course changes and I was nervous about the fact that we weren’t running on the exact same course as last year. The Crossroads aid-station route had been completely changed around. A new version of any ultra-marathon course has vulnerabilities. It’s simply untested. I’m not a huge fan of the course map provided on the Bandera website. It makes me a little crazy, having to zoom in and out to even read aid-station names, which I didn’t even know were correct or not. Still, trusted friends had told me the course is very easy to follow and I trusted that things would flow smoothly and I could concentrate on the task at hand—RACING MY HEART OUT. Racing on the front sometimes comes at a risk. We’re the first runners to arrive at the various aid-stations, intersections, and the like. Some front-runners will arrive before an aid-station—or even a finish-line!—is ready for them. I’ve run by aid-stations before that weren’t even there yet! It’s a huge challenge for race-directors to successfully orchestrate the myriad tasks that come along with organizing an event over vast distances and accurately predict when racers will first arrive. I volunteer at the occasional event myself. I recently pulled a 12hr shift at a cold, rainy Inside Trail Racing event. It’s definitely given me more empathy for the job race organizers do. In ITR’s case, do all the time, all year round. I did the best job I could on the day. 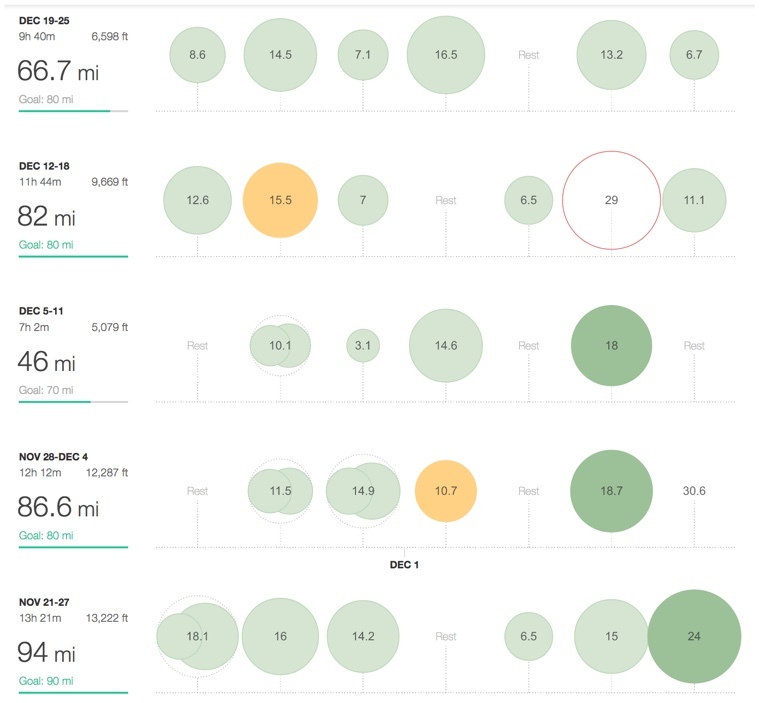 A navigation issue hasn’t significantly impacted my racing performance in two years. I was executing the event to the best of my ability and thriving on a challenging course and day. Sh*t happens. Two years ago, at Gorge Waterfalls 100k, an absolutely wonderful spring event held in Oregon, the front-runners were lead astray early as a result of course vandalism. We rallied, figured some sh*t out, helped one another, and got back to the task at hand—racing one another! Later, with the “help” of band of happy hikers, I went off course again for about 4min, thereby putting myself out of contention for a Golden Ticket. I owned the mistake. I rallied and fought hard in hopes of still getting on the podium. With less than a mile to go, and 4th place hot on my tail, I saw a course ribbon at a crowded visitor’s center intersection—no course monitor in sight—and shot straight through it, running on fumes after 60 some miles of racing, going for broke. I ended up way the h*ll out in BFE and had to flag down a motorcycle cop and ask him where the state park was and had to turn around and run back, losing another two places by the time I hit the finish. I f*cked up that race bad. The race-report was emotional in nature. I feel that what I wrote in that report as well here and in my URP comments are both fair and accurate. Some races just go sideways. Still, many races have gone my way, and for them I’m most grateful. At San Diego 100 later in 2015 I was flying blind for several middle miles before finding a waded up ball of course ribbon some tortured soul threw in the bushes. I got lucky there. Some race directors have moved their 100s to Fridays in part to increase the likelihood that course markings aren’t tampered with. As you can see from my training log leading into Bandera, I’ve been hard at work making my dream of racing well here a reality. There will be other races. Above all else I want to fiercely protect and preserve my passion for this great, great sport of ours. We are truly living at the top of our powers when we’re out there “gettin’ after it.” A recent Rich Roll podcast with former Navy SEAL, David Goggins, really hit home when Goggins shared that his journey as a Ranger and then a Navy SEAL, as well as his participation in endurance events, has really been about being “proud of who I am as a human being” and that what really matters in life is courage, honor, and respect. Tropical John Medinger brought tears to my eyes last year before Western States when he told us that our fighting to that finish line in Auburn brings honor to ourselves, our competitors, and everyone involved. Sometimes, when setbacks occur it’s all to easy to forget these grand ideals, and take the low road. Here at Bandera, I began practicing a mental strategy Goggins used to finish a raw, excruciatingly painful Badwater 135: envisioning the finish line and “how I would feel [once I crossed it]” On Saturday, the thoughts of how I would feel at the finish line continually buoyed my spirits over a bitterly cold first lap. In 26 days, I’ll step into the arena once again, envisioning that finish line, and do my very best to honor myself, my fellow competitors, and everyone involved, whatever the outcome. 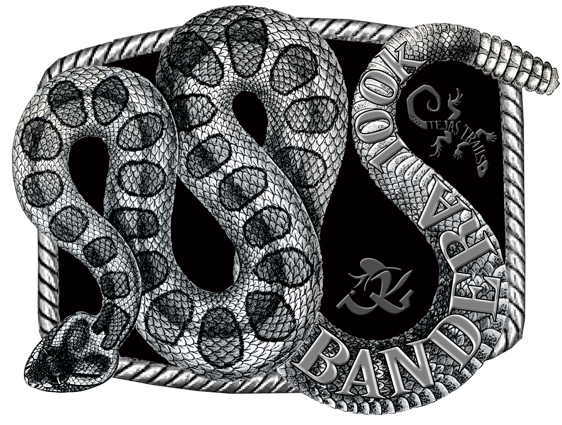 Congratulations to all the finishers at Bandera. Congrats to fellow Hoka One One athlete, Paul Terranova for winning the 50k. Thanks to Meredith Terranova for crewing and having breakfast in the fridge for me when I got up at 4am to catch my flight out. 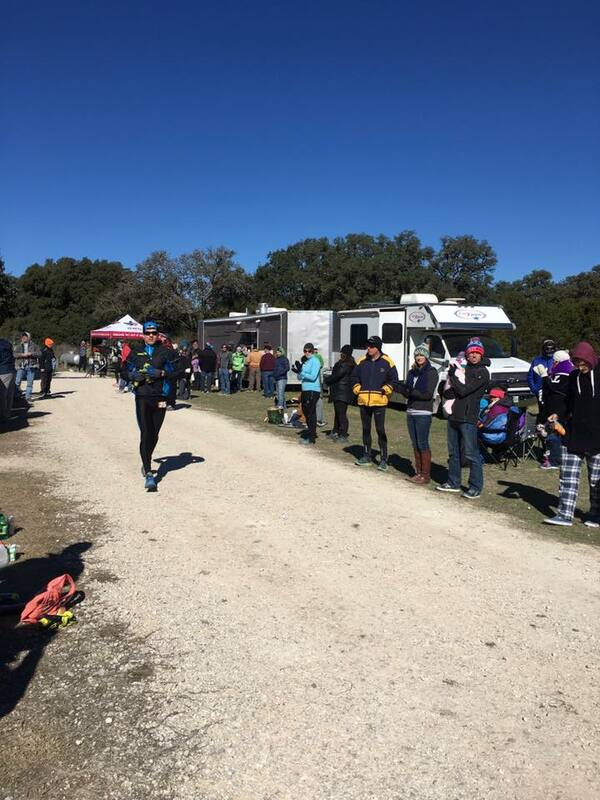 And thanks to all the folks at Bandera 100k for putting on a such a beautifully brutal event. I hope to come back and put things right. Parting Shot: New friends I met over the weekend who stayed with us at Terranova Ranch, Jason Zeruto and Troy Bertram. Both guys fought hard and earned that 100k belt buckle. Inspiring performance fellas! 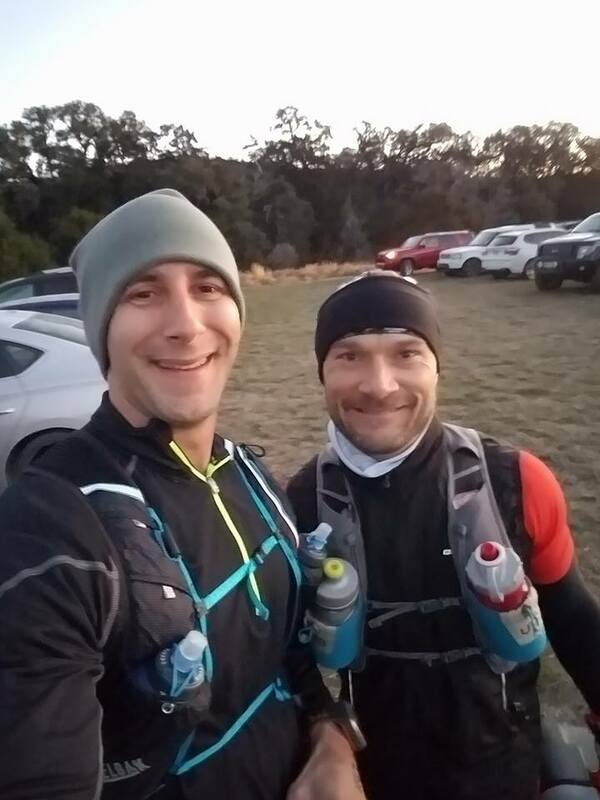 This entry was posted in Race Reports and tagged Bandera 100k by bobshebest. Bookmark the permalink. I’m sorry you didn’t get to run the race you could have down here. Really great blog post and best of luck at Sean O’Brien! Will be cheering. Read your blog post and URP comments too, which was a great read and insightful from you dealing with some crappy outcomes. Without sounding offensive or insenstive, if you ever need any GPX assistance – please get in touch. Ugh. I do hope it doesn’t come to that. But thanks! Powerfully written, heard about this and all I can say is I know from following you from down here in Monterey that you do pour your heart and soul into your training and racing. To me the worst part of trail racing is when you find yourself at a trail junction with that lost feeling of not knowing if you missed something or not, wish more RDs who are indeed great people in this sport, but nonetheless not perfect, I wish that sometimes they had a better handle on which parts of their courses need extra attention in form of signage or marshaling to help guide the runners that have put so much time and effort into racing these events. Last note on my part, I absolutely detest when online maps are haphazardly thrown together and are so rudimentary as to be near useless. Bob, you’re an amazing athlete and strategist and one of my favorites to follow and glean all sorts of things from, looking forward to your rebound at the next Golden Ticket race you hit up. Thanks for the balanced, measured, but forthright report.